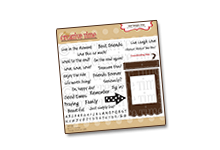 My Creative Time: My Creative Time's March Stamp Release BLOG HOP ~ Link Up PAR-TEA! 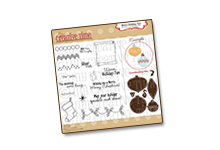 My Creative Time's March Stamp Release BLOG HOP ~ Link Up PAR-TEA! I apologize for being so late! :( A HUGE "THANK YOU" Miss Selina Shelton for helping me out & a HUGER "THANK YOU" to my DT Miss Leanne for actually finishing up my post for me! ;) I was seriously in tears because my blog was not cooperating! Needless to say, IT'S ALL GOOOD NOW! 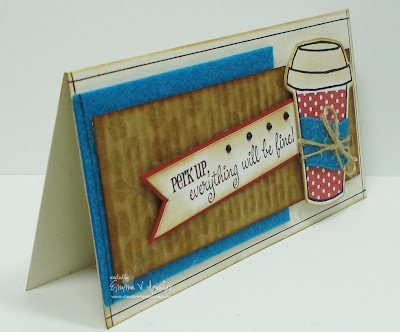 For my card today, I used "Coffee Break" stamp set! I was SO HAPPY to use felt for the coffee sleeve! I thought it would be different & cute to actually add felt to the card as well! I stamped the coffee beans from "You are Perk-fect" on the kraft color card stock then ran it through my crimper! The sentiment is also from "You are Perk-fect" & you can see how I made the little banner HERE in another video, it is SOOOO EASY PEASY! Here is a re-cap of all my newest stamps! 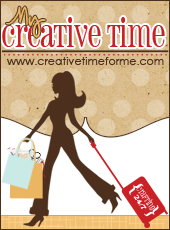 Grab you COFFEE, TEA or Hot Cocoa & START HOPPING my SWEET FRIENDS! Here is the Hop line up! Love how you stamped the cup! Rosy, this is too cute, love the idea of the tag! TFS! Have a GREAT day! All stamps are available HERE for purchase! OMG!!!!! I am super excited I got lucky this time!!! Congrats to the rest of the winners ;) THANK YOU EMMA AND ROSY. I am thrilled I made it to the party I hope the problem gets solved soon :) Off to hop I go! Just wanted to say that your card is adorable, Thank you for the tutorial on using the dies and for another fantastic release, may it sell out too! Congrats to all the winners! What an awesome hop to check out. Thanks for the chance to win. Love the card!! Glad you got things up and working!! DT did a great job!! Thanks for the chance to win!! Congrats to all the winners...have fun with your goodies!!! Thanks Emma for all you do....you always do a fantastic job with your stamps and projects...always look forward to everything! 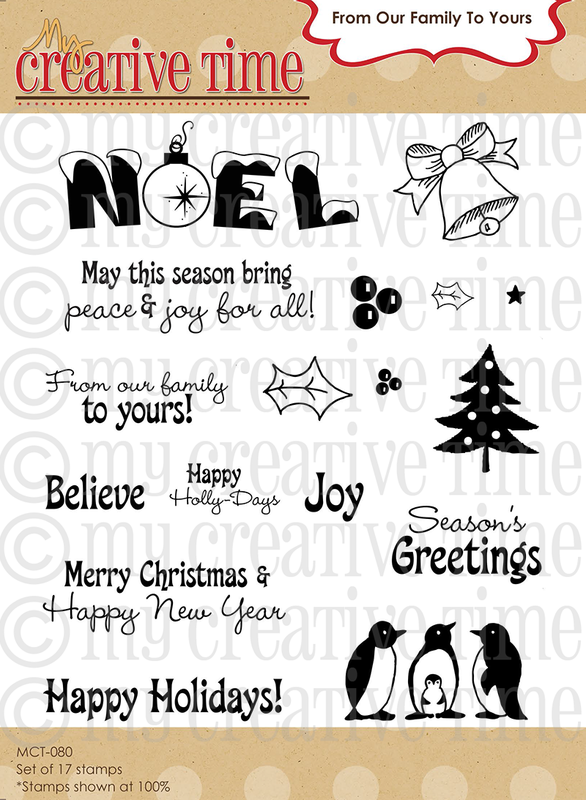 Great card, love these stamps and diecuts! Super cute card Emma and awesome job by the DT!! So cute, Emma! Your little cup is just adorable, and the colors are perfect! Thanks for coming up with these awesome stamp sets! I just love them!!! OMG, Love your stamps Emma. I went a little crazy this time on ordering almost everything. Ok, so I have quite a few to purchase, but they are all wonderful and can't wait for the mail to get here so I can get started. This set is amazing. Love your card with the felt! That looks awesome. Can't wait to get my stamps!! Emma ~ Oh how SWEET is this card! I LOVE how you did the background ! The felt is way to fun too! I have to say this release is just the BOMB! The possibilities are ENDLESS! Thank you for coming up with unique and creative products! LOVE them! CONGRATS to all the winners too! Very cute card! 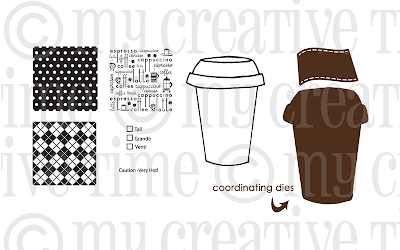 I love how you used the felt for the coffee sleeve! Awesome job- I love the felt! Your release is fantastic- I so want them all,lol! Congrats to all the winners! Oh Emma, I just love this stamp release!! Plus,your card is super cute too..
Emma, your card is very cute. I just love all the new stamps to. 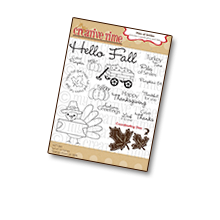 Thanks for the chance to win and the info about the "Cricut Magazine". Wow, all of your stamps sets are so gorgeous! I don't own any right now, but I hope to get some soon! Great projects all week long! Cute, cute cute! Love the felt! adorable card Emma, glad you got your post up! Congrats to the winners !! Congrats to the winners you are getting great stuff!! Emma you made another wonderful, cute card I surely love it! 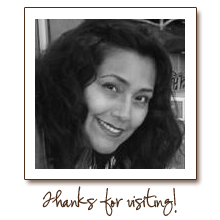 Thanks for sharing yourself with us! Can't wait for may stamps to arrive. Got a really cute idea in my head lets hope it works on paper. Congrats to your winners. They will LOVE there prize. Emma - great job on the new stamps they truely are awesome. PS most of your dies will work in the kids cuttlebug ( the only reason why they don't all fit is because of the size. The kids cuttlebug is about 1/2 the size of the regular cuttlebug. What a fun week! I have enjoyed seeing all of your ideas and great projects! 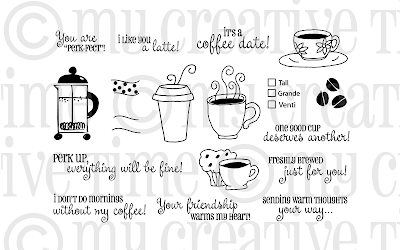 I don't even drink coffee, but I am sure that I NEED that set along with all the others! I have thoroughly enjoyed this week, seeing all of the wonderful projects and awesome ideas. This is one of my favorite releases...well, they are all my favs, who am I kidding!... But I super love this one! 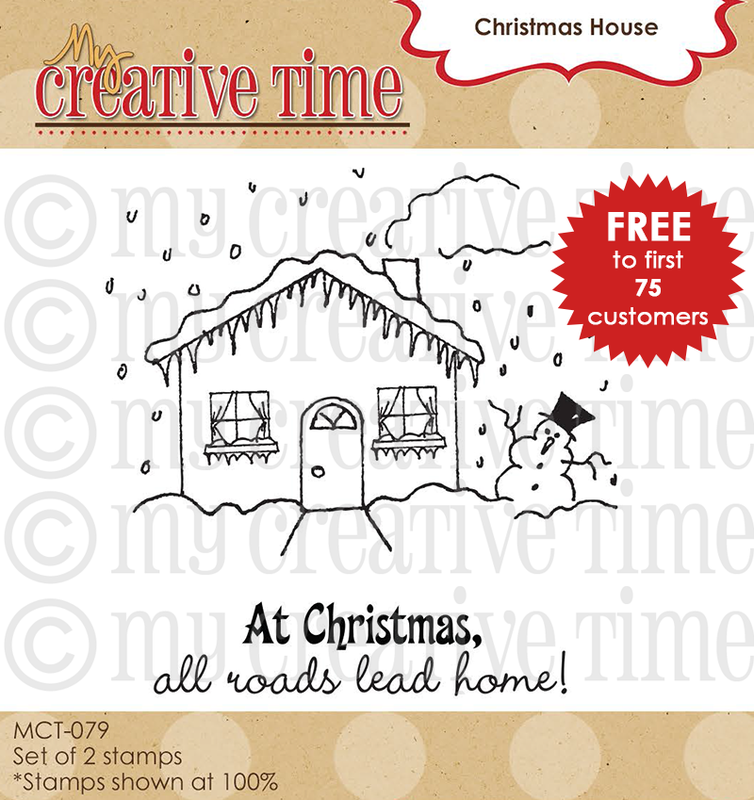 I can hardly wait for my stamps to come! Emma your card is just awesome as always and congrats on a fantabulous release! I just wanted to give a SHOUT OUT TO the Artist who designed all the drawings for you. Was it April? She did a super job. 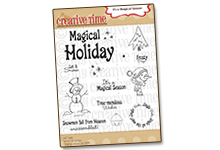 She captured all the designs in a sweet and friendly way. 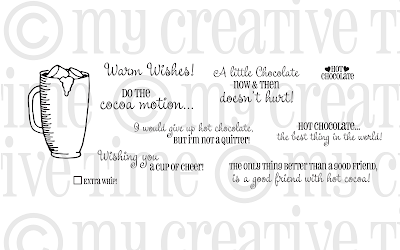 Your dies are very cute - now I need a venti hot chocolate! I've just loved all the projects from your DT this week! Crazy about the new release...especially the coffee set! LOVE your sweet card! Sorry about all the trouble with blogger. :( Glad it finally got taken care of so you could post!!! FAB projects this week!!! I think this is your best release yet! They just keep getting better and better; I don't know how you'll come up with something better for the next one! I love the color combo, and the way the crimping and felt gave your card unique texture. The crimping was also a nice homage to the corrugated cardboard coffee sleeves, we all recognize. Thanks for the amazing new sets, the loads of inspiration from you and your team, and for the opportunity to win! Thank you so much Emma, I'm so excited to have won. Your card is soooo cute, you are so talented. What a FABULOUS release!! Big congrats to the winners!! As always Emma your projects are AMAZING! Thanks for a chance at an awesome giveaway! Your card is wonderful...I like be beans stamped and crimped...great idea. This is a fun release and your DT did a fantastic job! 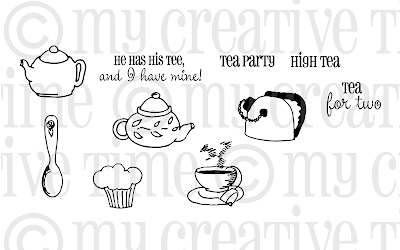 Got my stamps today, finished the hop and now it is time to Par-Tea!! 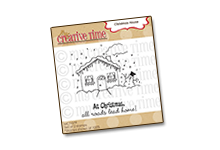 Love all your new stamps and the projects created with them. Thanks for the chance to win! So thirsty for something warm now! Great job! Can't wait to get my hands on the new stamps! Great job! I love the use of felt in the card. Great idea and thank for coming up with all these great stamps! Love all your new stamps!! 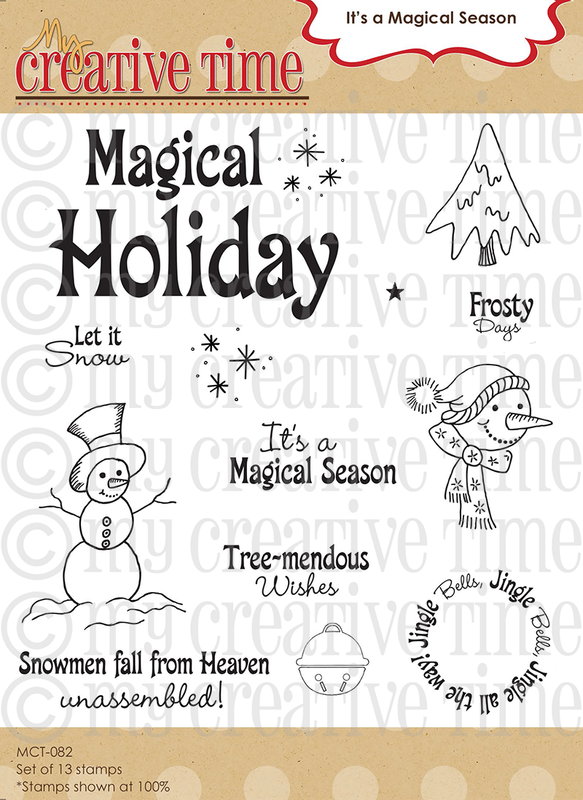 Great new stamps and dies and card--I like the sentiment. Okay, I'm posted and linked. I was so-o-o-o-o excited about this one! Thanks for this opportunity to share! I love the new release. This is so amazing. You just keep blowing me away.Always love the videos and all your wonderful tips. What a cute card. So many cute stamps, my head is spinning--lol. Super cute card!! Off to hop!! YAY!!! Fabulous as usual! Off to go to the hop! I'm sorry you changed it up. I like it better when everyone, even the ones that are unable to buy your stamps,has a chance at entering the challenge, to win your super adorable stamps. love love LOVE this card. I'm such a coffe hound! LOL. 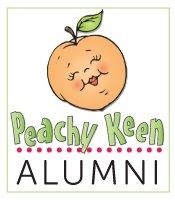 Wonderful Blog Hop. Made the rounds and enjoyed all the projects. Thanks for the video on the stamp sets. They are awesome. Thanks for a chance to win. Nice, nice card. Love your new stamps. OH WOW!! Got my stamps yesterday and couldn't wait to make something to join in on the link up so hope I did them justice! I LOVE THESE STAMPS!!! Thank you Emma for your wonderful creations and excellent products! WOW! Love your card! and loved the blog hop! You have an amazing DT! Thanks for the chance to win a great prize! Love the new stamps...so useful and pretty! Super cute card Miss Emma and super cute release!! You have an amazing DT and I know they would do anything to help you out in a bind but so happy that your blog got to working again for you!! Love the texture that the felt adds to this project! Plus teal, red and brown colour combos rock my socks! 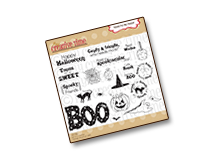 Great new stamp sets! Fabulous puns, as always! I think the felt is such a wonderful touch! TFS! rgauss at sbcglobal dot net. 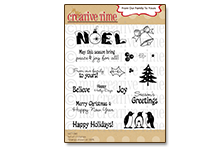 Love your card, and your new stamp sets. Great as always. Love the card, so cute!! The stamps are great! I was wondering if you used cardboard in your design! Love it, looks so cool, love the red felt! These new stamp sets are awesome and just my cup of tea (pun intended...lol) I love your card and how your crimped the kraft cardstock. 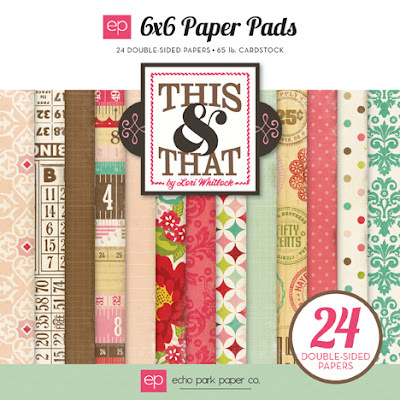 FAB card Emma and totally awesome new release!! This is for sure #1 on my wishlist!!!! Love how your card turned out Emma!!! Using the crimper was an awesome idea! Love, love, love this release, especially the die cut & the big background stamps!!! Didn't think I would be able to hop since my laptop died, but figured out how to do it with my phone! Yaaay!!! Can't wait to see what everyone has done for the hop. Will be purchasing as soon as I can afford! 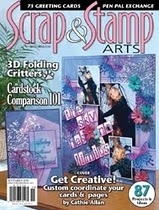 I'm new to paper crafting so the crimper is new to me but it will be something I will add to my wish list after seeing how you used it. Great card and I love the stamps. Love the card! The stamp set is really cute. Love the new stamps Emma! Your card is awesome! I love your new sets Emma-I just entered my card--it was so much fun to mix and match everything! I just finished the hop--and love everything I saw! What a release!!! Soooo super excited to have this new stamp release in my hands! I had a lot of fun playing along with this challenge. I needed to make a birthday card and this new release was absolutely perk-fect! I love all your stuff. You are so talented. My hot button: Coffee & Cricut. Too much fun there....Thanks!! 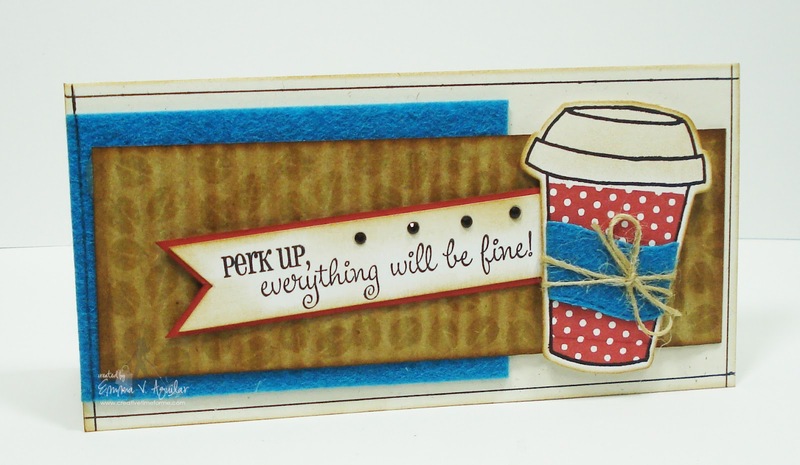 Love the saying Perk up everything will be fine! You're a genius Emma! :) Cute sets. Love the stamps and card Emma! 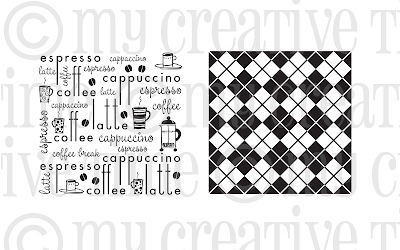 As a coffee drinker I just couldn't resist these stamps and that die! I can't wait to use it:) Much success on this release!! Hi Emma, I super love this release, I am a coffee drinker. LOVE this set Miss Emma!! By far my favorite thus far!! Project is linked! Congrats on another fabulous release!!!! My card is made using Recollections card stock, Colorbok Pattern Pack Cafe au Lait, a Martha Stuart border punch, McGill punches for the flowers and the new stamps and dies. I also used some Distress Inks and a hand dyed ribbon. Love the new stamps and dies!